Forget the usual bar at your reception and give your guests a drink they won’t easily forget with this exotic gin cocktail made by Sip Executive Mixologist Owen O’Reilly. 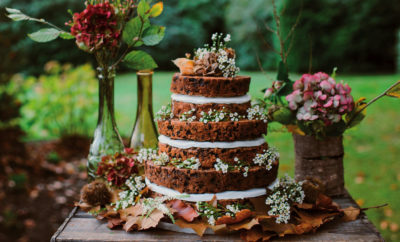 Plus, if you’re still on the hunt for the perfect appetisers to pair with your welcome drinks, East Afternoon Food Stylist Georgia East has some great ideas too. Watch as Owen creates the creamy drink then scroll down for the full recipe. 1 Add the pears, sugar, water, star anise and cinnamon quills to a pot and bring to a boil. Simmer for 15 minutes. 2 Strain and let cool. 1 Combine the spices and mixed nuts in a blender until smooth. 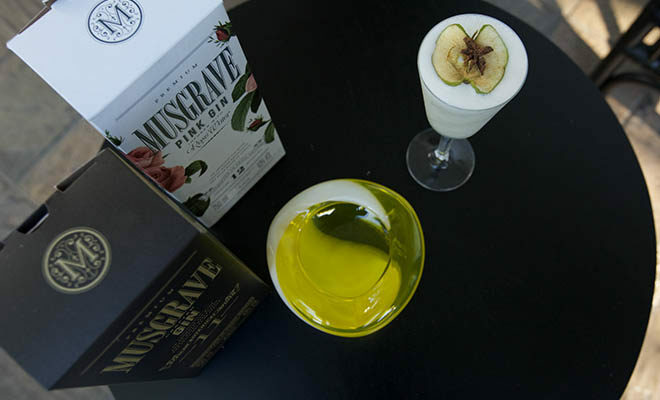 1 Add the Musgrave gin, spicy pear syrup, pear puree, lemon juice and fresh cream to a shaker and shake for 15 seconds. 2 Double strain the drink into a chilled glass. 3 Top with tonic and add a pear slice and star anise to garnish before serving.